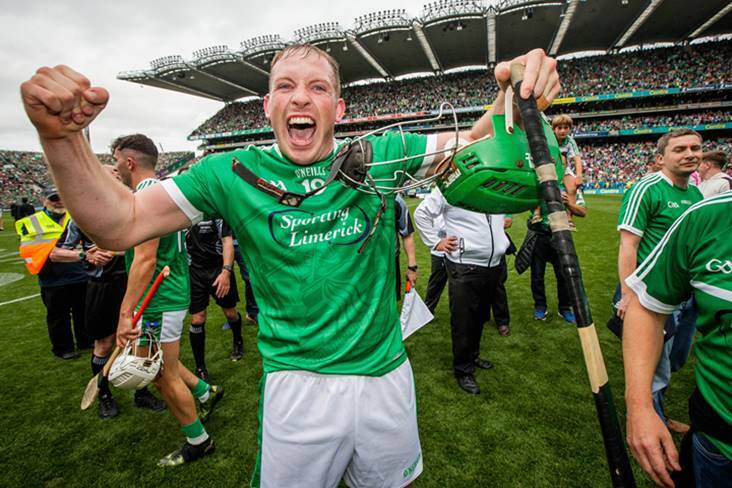 After calling for calm following Limerick's All-Ireland semi-final victory over Cork last month, Shane Dowling gave the county's supporters license to go 'absolutely mental' after the Treaty County finally reached the Promised Land today. Just as he had done against the Rebels, the Na Piarsaigh sharpshooter came off the bench to score a crucial goal as Limerick edged a titanic battle with champions Galway. In another memorable post-match interview with Sky Sports, he said: "It's all I ever wanted since I was a young fella and we eventually got there. "I don't know how many prayers I've said. This means the world to me and, more importantly, my family, my friends and my club. "I stood here three weeks ago and pleaded with the fans to give us space and allow us focus. Now I am saying to the fans, 'can you now go absolutely mental for the next couple of weeks?" When asked about his goal, he added: "I dreamed of that numerous times before. For it to come true is just mad. I just can't believe it."